Car thieves are always finding new schemes for getting into your car to steal your valuables. There are recent reports of tech devices used to enter cars, but some thieves are using a less sophisticated method. There have been a rash of robberies using... a penny or nickel! 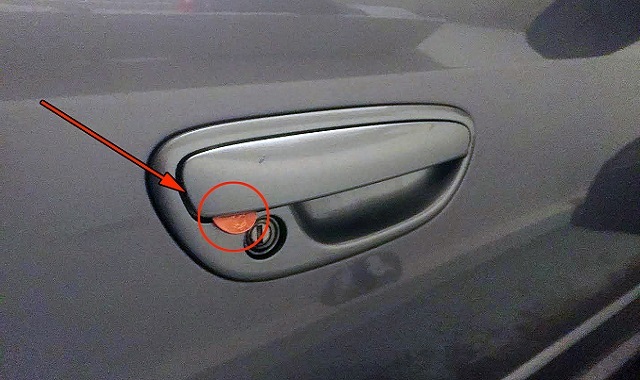 Thieves slide a nickel or penny in the door handle of the passenger side. When you attempt to use your key for central locking it won't work, because the passenger car door is jammed. They will then be able to get into your car and steal anything they want, including the car itself! Thieves have also been known to hide in the back to carjack you with this method! Therefore, always make sure to check the passenger car door handle before entering your car, to ensure that no coin has been inserted. Watch the video below for more information on the techniques used to steal your valuables while you are pumping gas at a gas station, and how you can prevent this from happening. Knowledge is power!